Furnished villas and travel trailers to rent. All rental units are non smoking and non-pet. Basic kitchenware is provided, some with porches or awnings. 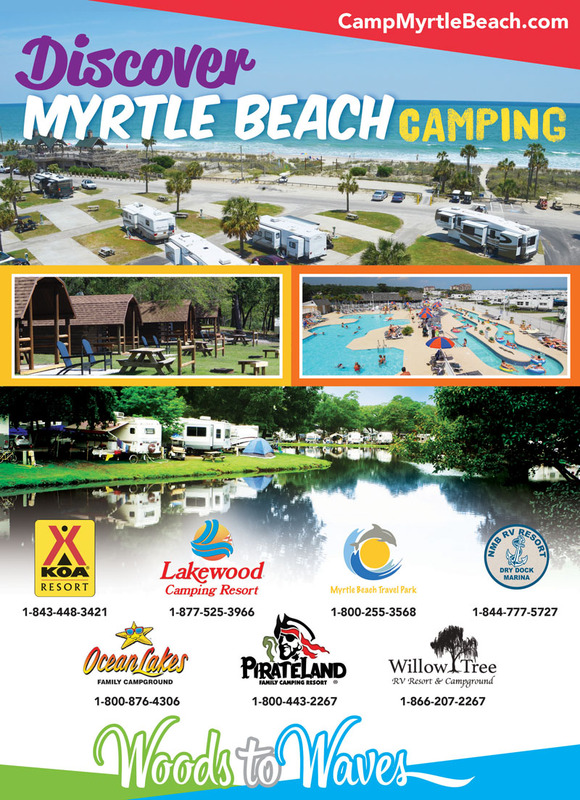 Large family campground located on the beach. Our site was located about 100 ft. away from the public beach, just over a small sand berm. This resort park has all the amenities needed to keep families entertained. We stayed in the off-season, so the outdoor pools and cafe were closed, and the renovation projects were going full-speed. The indoor pool was open. The large laundry was in desperate need of updating, and this project was getting started as we left. The resort is combined RV sites and perminent/rental park models. All the utilities worked fine. WIFI and cable were good. The sites are pull-throughs, hard-packed sand, and somewhat tight. Covered picnic tables. Restroom/shower facilities are good. Overall park condition was well-used, but acceptable. The management is friendly and helpful. This would be a great place to let the kids run wild in the summer. Lots to do in greater Myrtle Beach area. Overall, we think it was a great stay - no complaints. Would return. We came down south to escape the cold, which so far has eluded us. On our journey we have stayed at some non ratethe arcade is closed, the snack bar is closed,d parks and Good Sam rated parks. By far and away the Good Sam Clubs are the only place to stay. That is until we pulled into Myrtle Beach Travel Park. I realize that this is "off season", but for a year round campground, this is a very poor experience. None of the restaurants are open, the indoor pool is closed, the is no transportation into town (no shuttle,no metro), the arcade is closed and the snack bar is closed. The store that is open from 10 - 4 daily didn't open until 11 and at best was poorly stocked. Hot water for showers came out luke-warm, the shower stall curtains don't reach the floor so all of your clothing in the changing stall gets wet. The temperature in the bathroom in general could no have been above 50 degrees. This may be an idillic place to visit at 70+ degrees, but for a winter get-a-way, NOT. We traveled with 2 adults and 2 dogs Thanksgiving weekend and really enjoyed our stay. Awesome location right on the beach. We thought it was important for our campsite to be as close as possible to the beach but you’ll find out that it doesn’t matter. Even if you’re at the end it is still a very short walk (2 min) to the beach and beach front sites aren’t able to see the ocean because of the dunes, so don’t worry about where they locate you. This campground has everything you want and need. All facilities are large and clean. Every employee was very friendly. It’s great how every site has its own picnic table and if I’m not mistaken they’re all pull-through sites. The only slight negative is that you’re very close to your neighbors but that’s just part of it being that the area is such a popular spot. If you’re wanting a secluded getaway this is not the place to go, but if you’re wanting an awesome trip to the beach with all amenities nearby in a great location then this place has it. We would definitely go back. Awesome place to stay. We decided to go back after a 6 year hiatus and man were we happy we did. They have upgraded their facilities and added to the pool. Great place to let the kids just roam around and make new friends while the adults relax and do nothing. Camp sites are a little bigger than those at the bigger campgrounds in Myrtle Beach. I would diffidently recommend. Close camp sites, Narrow, sandy streets. Sheds over picnic tables nice, but seasonal folks have used tarps and plastic to close them in. Some no very tidy. WIFI spotty. Store, restaurant, gift shop, water park closed. We moved up to MBTP quite a few years ago when the southern MB campgrounds starting letting the teenagers run the campground - Golf cart issues were many and the facilities seemed to be suffering from overuse and various hyjinx - the clientele seemed to care more for parties than relaxation. MBTP fit the need for use to find the right amount of interaction with other campers and not be overrun with golf carts - policing the golf carts seems to be handled well here. Facilities are constantly cleaned and services are fantastic. The staff at the front desk are great and work with you should any issue arise, also the reservation system works well as does the concierge service. This has been and will continue to be our campground in MB. Absolutely LOVED this campground. Beautiful place right on the beach with so many things to keep our kids busy. Great for kids and adults a like. Very relaxing atmosphere and the staff was amazing and helpful. We had such a great time there and will be going back again this summer and many more to come. We can't say enough good things about this place. We love this park - use to go further south but no more. Great sites and service - staff is always ready to help if needed. We had Wi-Fi issues last visit or they would be a perfect 5 all-around. We hit this park a couple of times a year - just wish they would offer a Good Sam discount. Beach sites are well cared for and the roads are well kept in-spite of the traffic on them - a little dusty in the middle of summer, but it's gravel. We have camped here a few times and every time has been a good experience. Most of the staff was very nice and helpful. We had sites that were very close to the beach so it was good for fishing. Sites are very spacious and the covered picnic area came in handy. Great park right on the ocean. Staff and campers were super friendly. 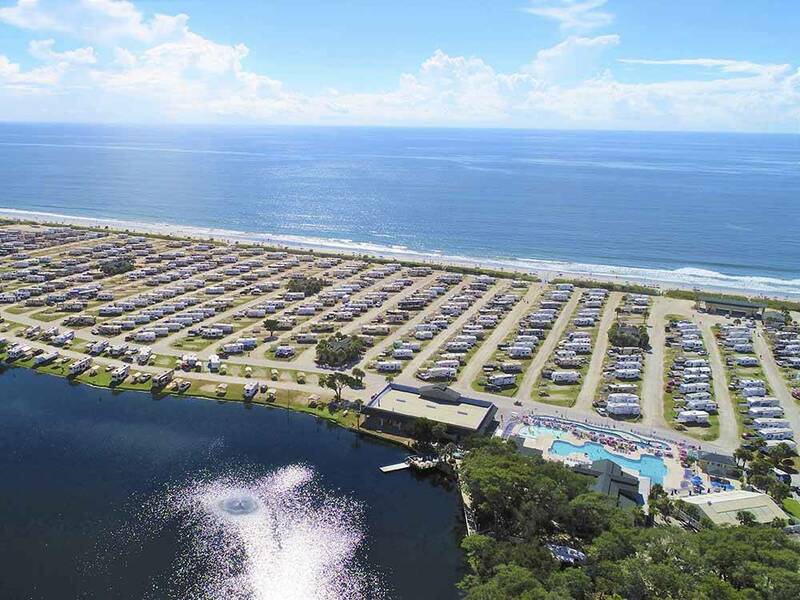 Furnished Ocean Villas and travel trailers are available. Basic kitchenware is provided, varying amenities such as decks or awnings. Rental units are non-smoking & pet free. Enjoy the great amenities of our property!